SGOT and SGPT: What's Normal and What's Not? What Is the Hydrochloric Acid Function in the Stomach? When you begin eating, your stomach will produce a gastric acid, called HCL or hydrochloric acid. It is the largest component in your gastric juices. It is also the only acid your body produces. The rest are byproducts of metabolism. But what is the function of hydrochloric acid in stomach? Protein: HCL helps digest protein by converting pepsinogen into pepsin, the proteolytic enzyme. Pepsin then breaks protein down to smaller particles so they can be absorbed by the small intestine. Fats and Carbohydrates: HCL stimulates the release of bile and pancreatic enzymes into the small intestine, which aids in the absorption of fats and carbohydrates. Vitamins and Minerals: HCL also aids in the assimilation and absorption of vitamin C, folic acid, beta-carotene as well as iron. It boosts their bioavailability, releasing them from food. There are reports that in the cases of low stomach acid, elements such as copper, zinc, calcium selenium, manganese and others are poorly absorbed. HCL can kill microorganisms in your food. This is another major function of hydrochloric acid in stomach. It can also keep food from fermenting in the recesses of the stomach, vital to preventing food poisoning. HCL also helps prevent occurrence of yeast, parasitic, protozoal, viral and bacterial infections which are common digestive troubles. HCL can become dysfunctional in cases when there is too little or too much of it. If you think there is a problem, you should get tested instead of simply treating it yourself. It can be tested with a blood sample or by checking stomach acid using a Heidelberg test. First, let's discuss the case of too much hydrochloric acid. Some causes are irritants like alcohol, coffee, soda, aspirin, strong spices and fried foods. It can also be brought on by fatigue, worry and stress. Smoking and food allergies are also contributing factors. Some signs you are having problems are constipation, undigested food in stool, heartburn, stomach aches an hour or so after meals, nausea, headaches and vomiting. There isn’t a cure, but it can be relieved. With severe pain, cool compresses on the stomach can be helpful. It’s important to eat small meals to help reduce the stress on your stomach. 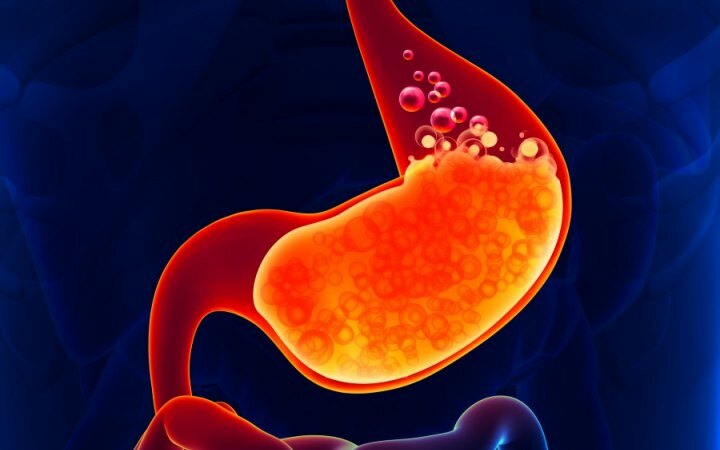 Antacids should be used with caution because they may cause problems such as vomiting, nausea, diarrhea, constipation, bone demineralization, bone pain, kidney stones, cramps and muscle weakness. Eat foods rich in sulfur such as onions, garlic, Brussel sprouts, cabbage, broccoli and cauliflower. Papain is an enzyme found in papayas; it aids in digestion. Eat essential fatty acids to lower inflammation. Vitamins A, C, E and zinc are helpful in supporting digestion. Minimize alcohol, dairy, fried foods, sugar, and coffee consumption. It is also important to note that both acupuncture and massage have been found to aid in digestive function. Take betaine hydrochloride which is the supplemental form of hydrochloric acid. It is found naturally in broccoli, shellfish, grains, beets and spinach. Stomach acid typically has a pH of 1 and vinegar has a pH of 2 or 3. You can use it to increase stomach acid in the stomach. Do not take it straight as it may cause irritation. Add a little water if needed or take a vinegar supplement. Vitamin C, also called ascorbic acid, can also improve digestion by increasing your stomach acid. Take vitamin C in the meal time. Note that overdose can lead to heartburn or stomach issues. Be sure to consult your doctor when looking to improve your HCL and digestion.